I have been on cloud nine the past two days! 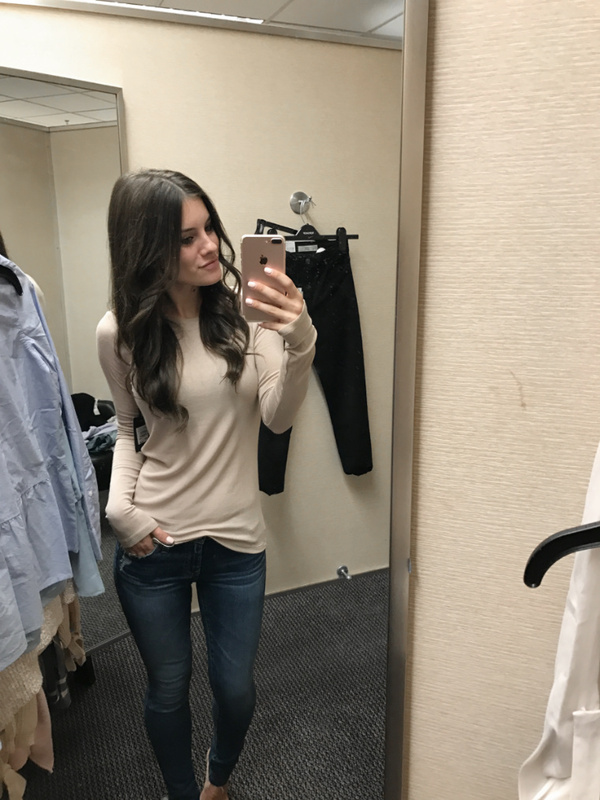 I just love the Nordstrom Anniversary Sale! And I have so many favorites this year! And today is SUPER EXCITING! 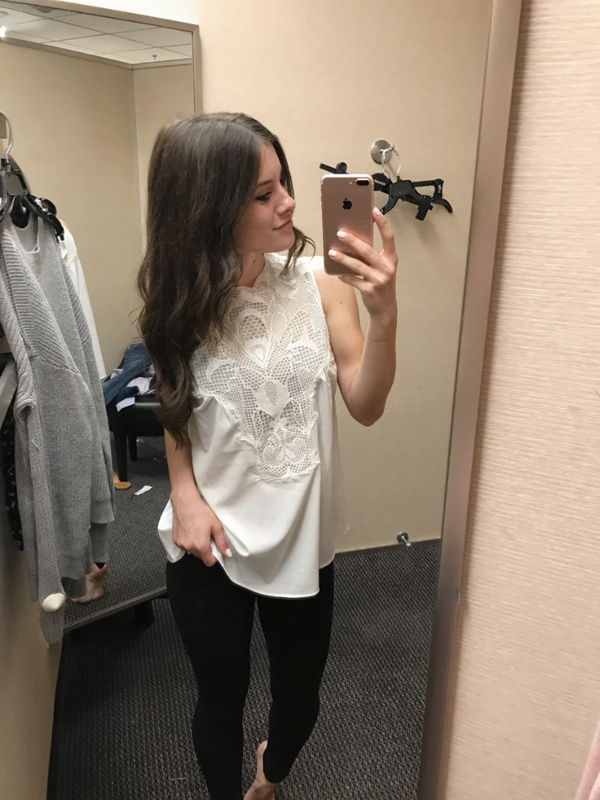 because as an apology, Nordstrom is giving 10 points per dollar on every purchase made yesterday AND today because of the major site crash yesterday! Seriously such an amazing perk because points=free money=more shopping.. total win!! 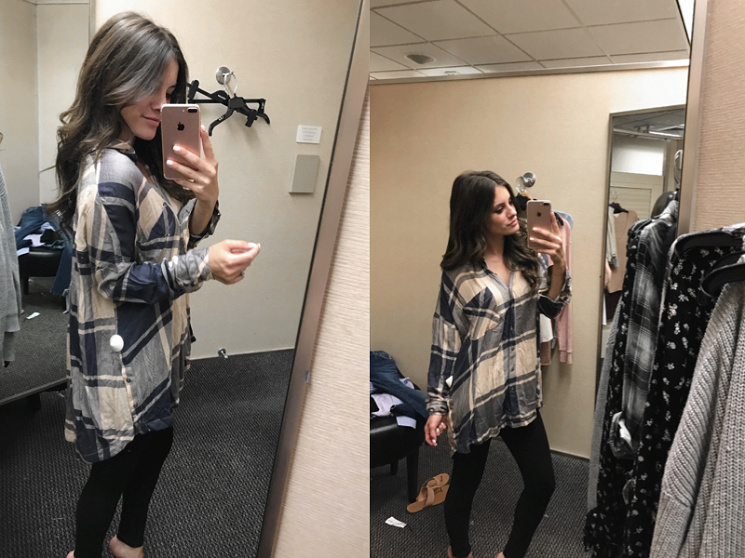 For today's post, I wanted to share a highly requested fitting room diaries from yesterday's trip to Nordstrom. I have a ton of stuff that came in the mail but wanted to check out the store as well in case there was something I missed online a.k.a buy more things haha! 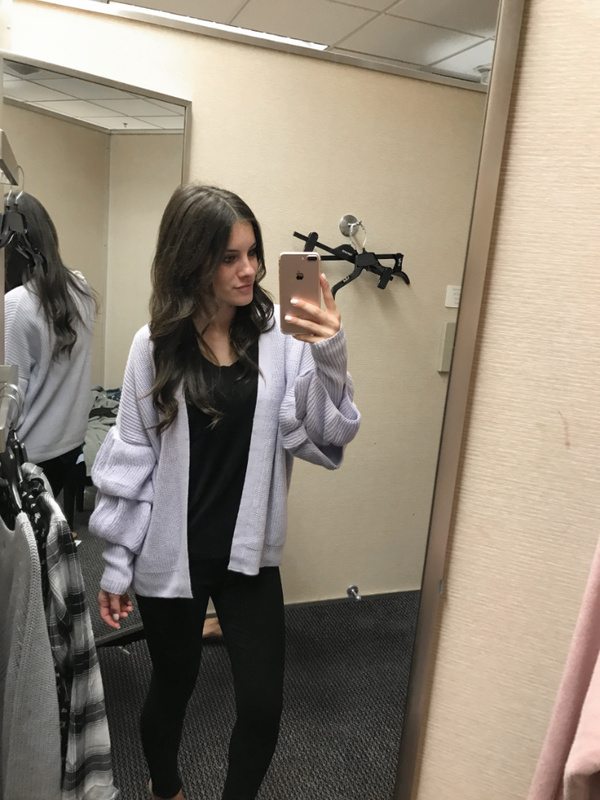 I will get to accessories & shoes and share more things I got in the next few posts, but here is solely items that were available at my local Nordstrom. 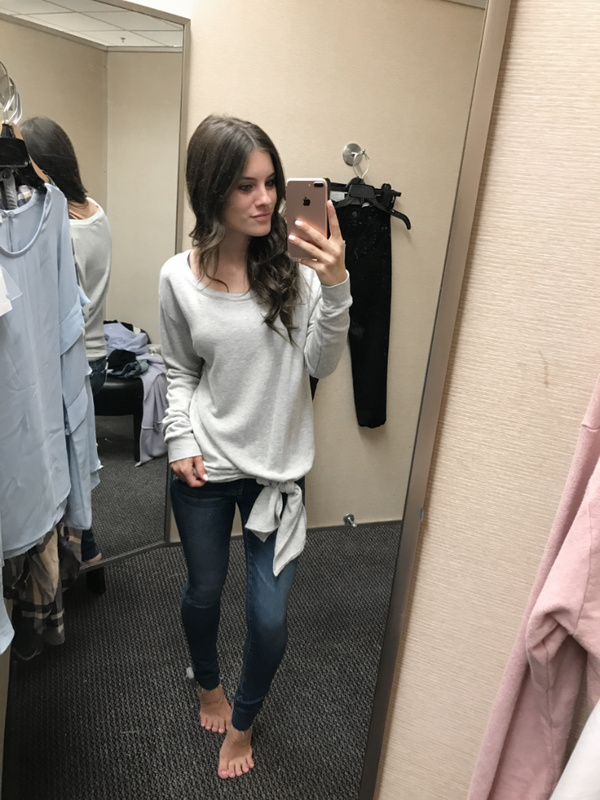 There was a pretty limited selection compare to online, but it did help me get some sizing information on stuff I saw online to share with you all as well as decide whether or not to order certain things on my list. One quick tip before we begin-- Things sell out insanely fast during this sale! Nordstrom has free shipping AND free returns, so if you are questioning between two sizes, get them both and return the one that doesn't fit. By the time you order, get your item, the other size you needed may already be sold out! They do restock, but usually ones that need restocking will go just as fast. I do this ALL the time when I order from them and its super convenient to just stick the sticker back on the box and send it back! Everything thats pink is a link that will get you to the product! 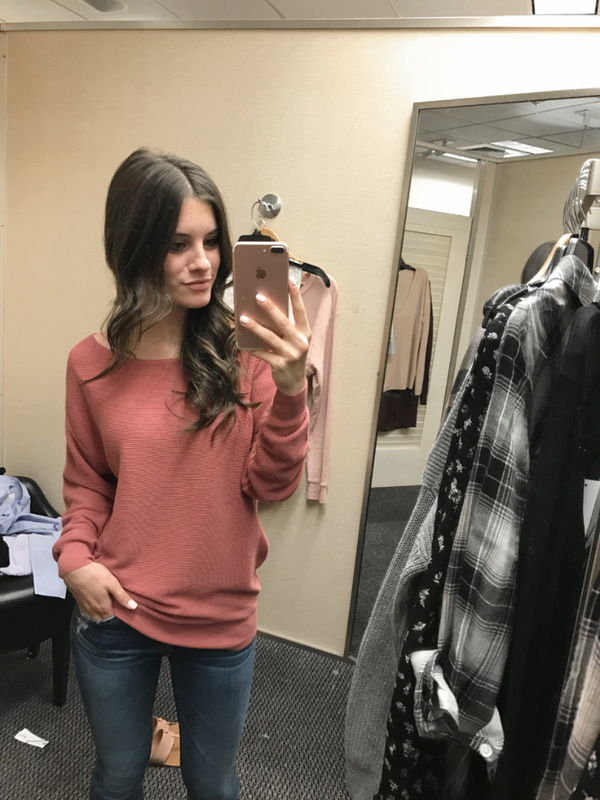 BOATNECK RIB KNIT PULLOVER- $24.90 & more colors! I'm wearing an XXS & I'd say this fits true to size and it is made to fit oversized. An XS and S also fit great but the bottom is more hip hugging the smaller I went which is what I wanted. If you like it more oversized especially to tuck into the front, definitely size up a size or two. I'm wearing a Small but ordering an XS. This is SO soft and the tie is adjustable so you can make it as tight/loose or long/short as you'd like! 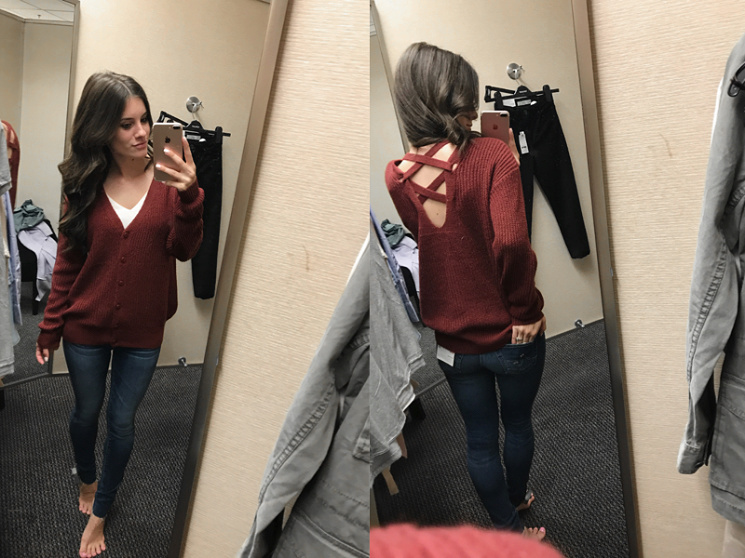 I saw the back and fell in love, but the front was a nay for me because it was too muffin top. I am wearing an XS and maybe an XXS would fit better. I wish I tried it open with my white tank to see if I liked it more. It is soft and warm though & didn't feel itchy to me. If you get one thing from the sale get this one! In every color!! I have a few colors including the striped version that I can't wait to wear! Runs oversized, wearing an XXS and got a few in XS too! 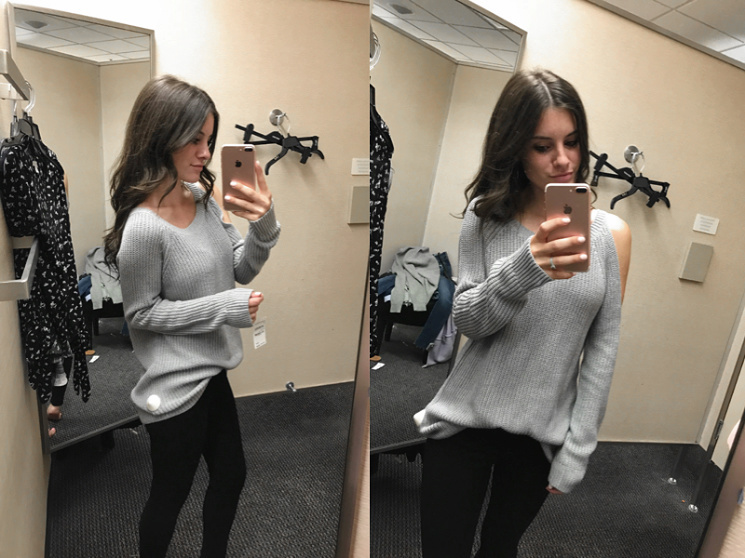 It is super soft & thin-perfect for layering. I'm debating doubling up so I can wear them as pjs too lol! Wearing an XS but ordered an XXS in the red version; runs oversized. So many different patterns to choose from and definitely a fall staple! 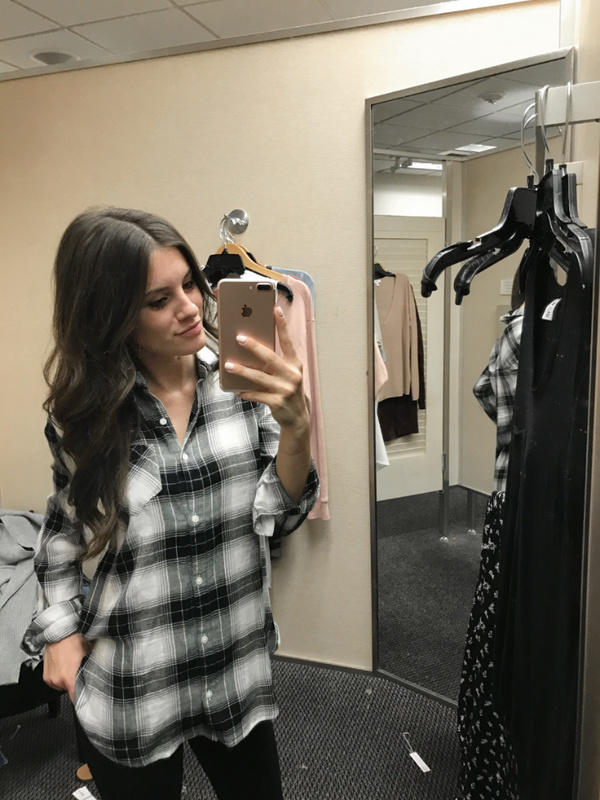 There is this plaid shirt that is part of the sale that is definitely a splurge but the quality and softness doesn't compare at all to this one, so I highly recommend that one! So gorgeous!! I'm wearing a S; I sized up from an XS for a little bit of length. Another favorite I got in a few colors! 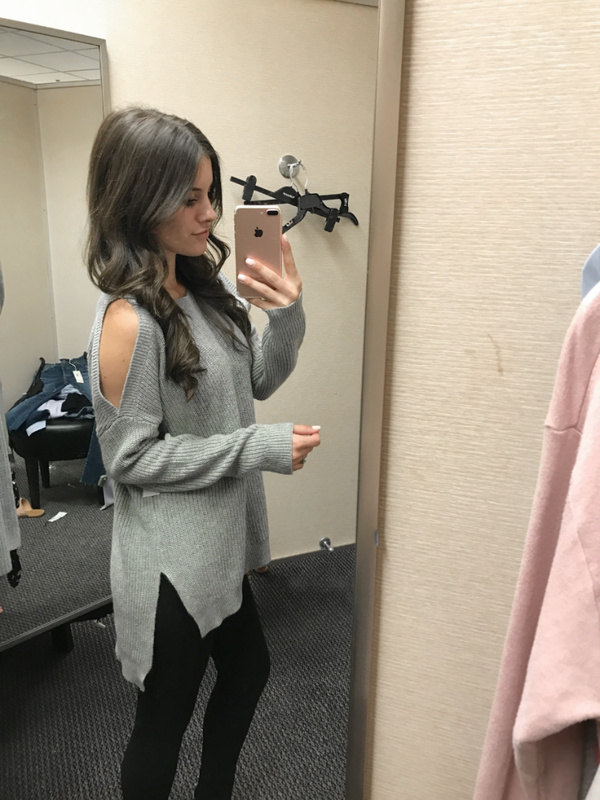 I went back and forth with sizing between XXS and XS (pictured), but went with XS because I wanted to be able to pull it up on my shoulders without it being too short in the front while not sitting too low at the chest area. There's SO many other colors and super soft!! I got this one, the red/orange, and white. Another necessary staple! I think I officially ordered almost every color. I'm wearing a S here and love that it doesn't come down too low! I would recommend normal sizing if you don't like an oversized, tucked in teeshirt look. I'm wearing an XS here but ordered an XXS in the black version. I really love the grey, but I imagined an all black look with the cut-outs was a perfect hot date night look. 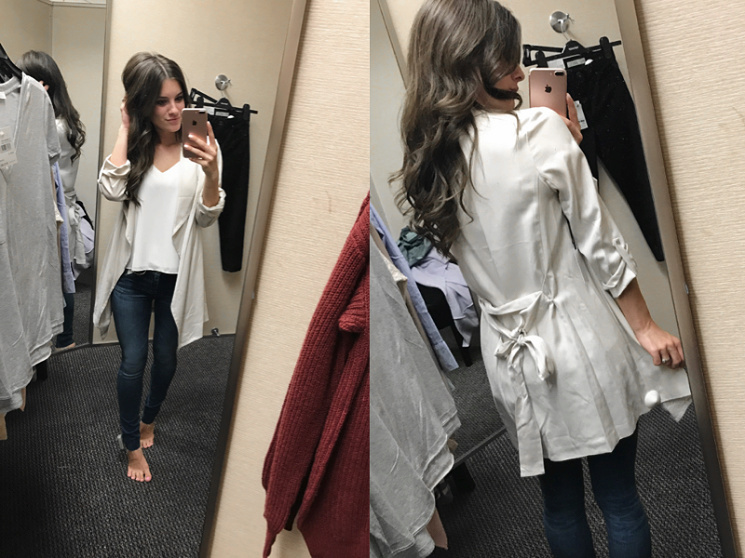 Love that the back is longer so you can also wear it with leggings! Love the details on this one and you need to click to see the back button detail! Gorgeous! Wearing a size S here. This one is literally FLYING! off the shelves! It would be so cute with jeans or leggings. I'm wearing an XS so it definitely runs very oversized. 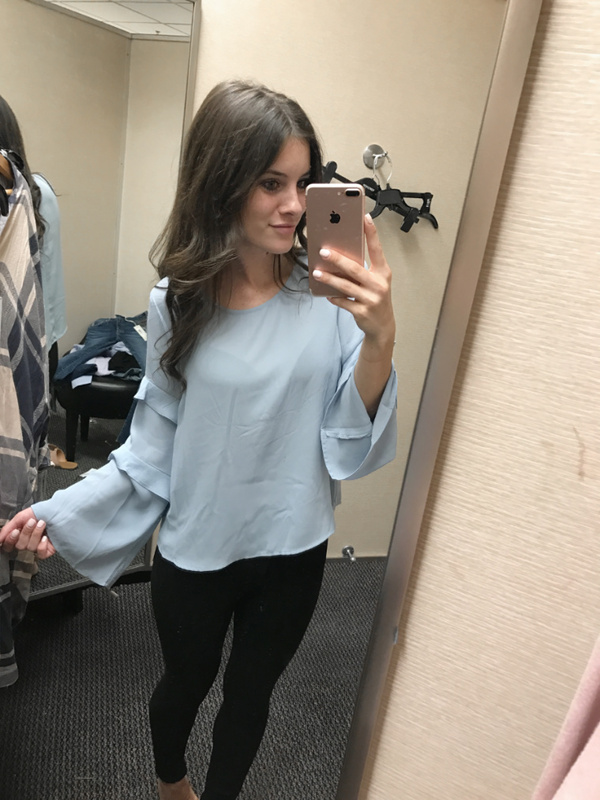 LAKESIDE PEPLUM SHIRT- $47.90 BUT THIS ONE IS SOOOOO MUCH CUTER & ONLY $38.90- more colors too! Wearing an XS but couldn't get the whole button up to the neck thing to work for me. 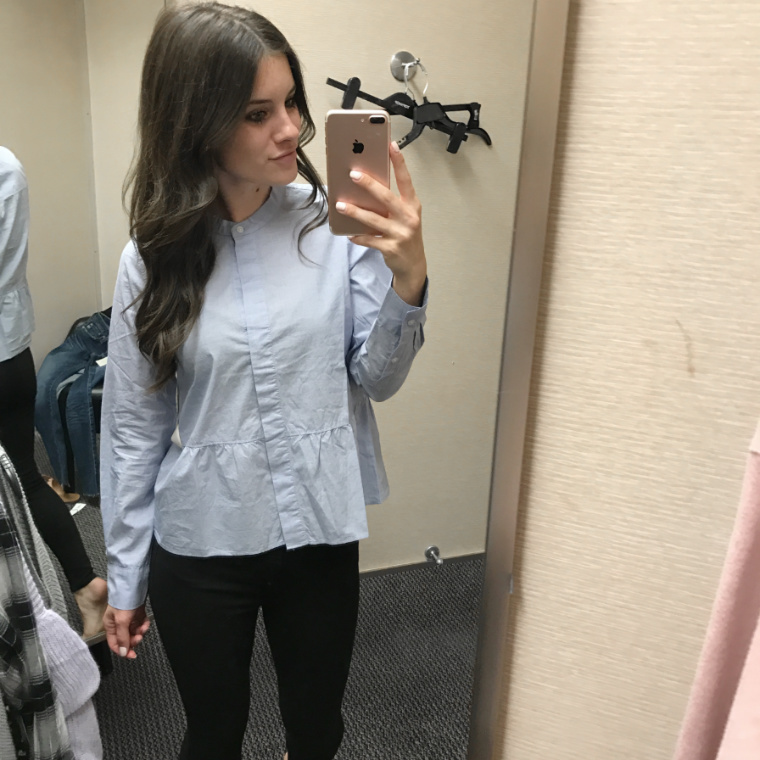 I could imagine it would be cute with a statement neckless but this one is less expensive and literally the cutest chambray shirt I've laid eyes on and so soft!! 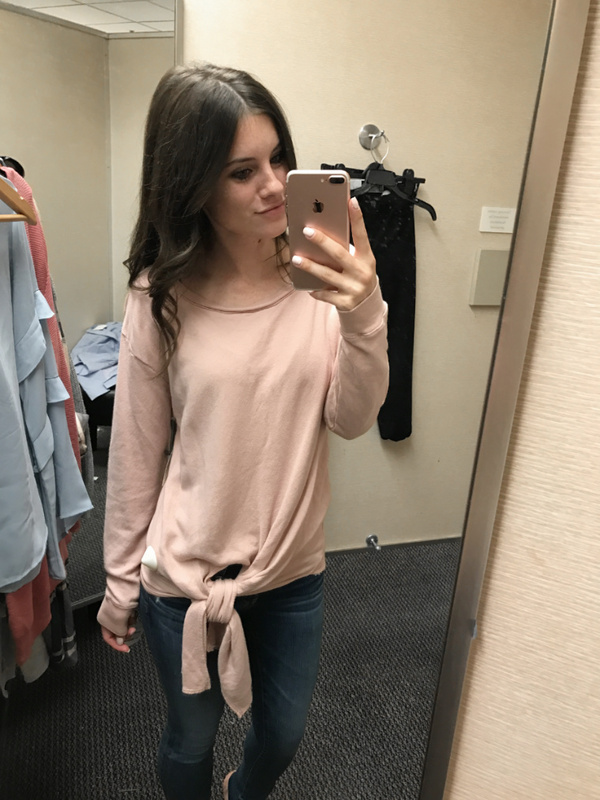 This one is super soft, but it is not very thick so I would recommend wearing something under it... one of those that you can see "all your curves and all your edges" otherwise :) It does make a really good and comfy layering tee because it fits so close which I love especially a the arms! 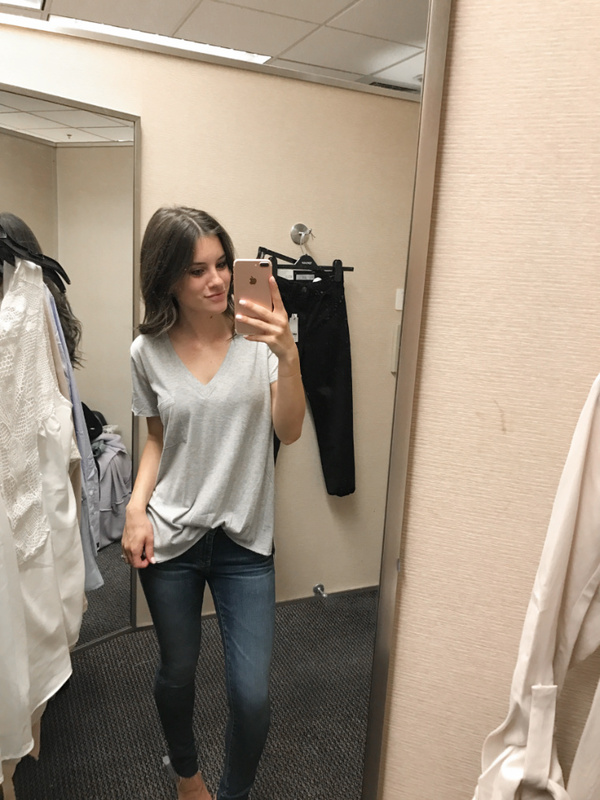 Wearing an XS; true to size. Another one selling super fast! 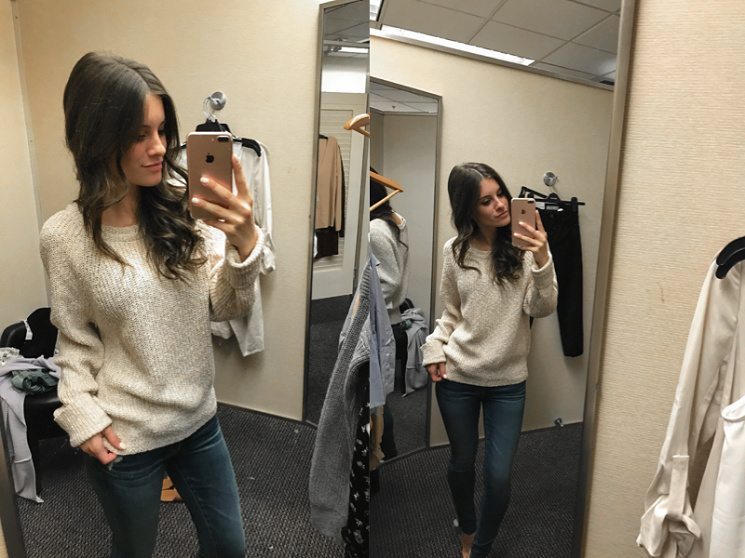 I'm highly obsessed with waffle knits and thermals! They are the coziest for colder temperatures! 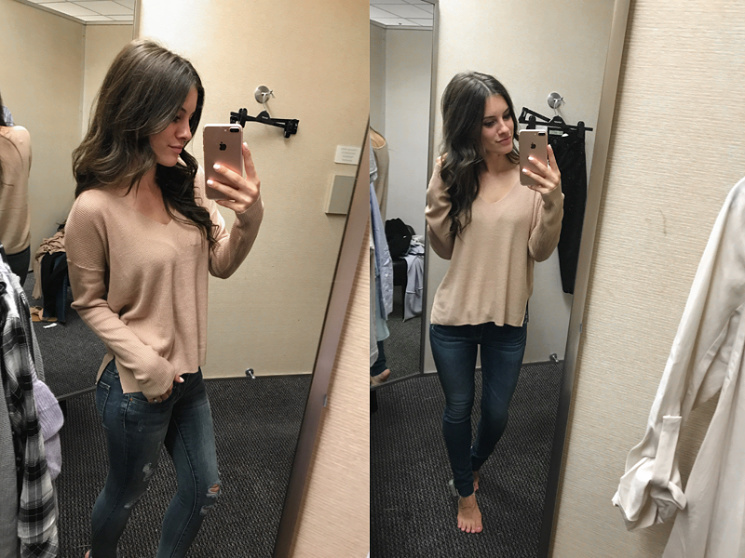 I bought this one in a few colors and stuck with a size S because if you haven't realized by now, I have a thing for oversized fit lol! Another great waffle knit that's more sweater-y is this one! love the mauve color! 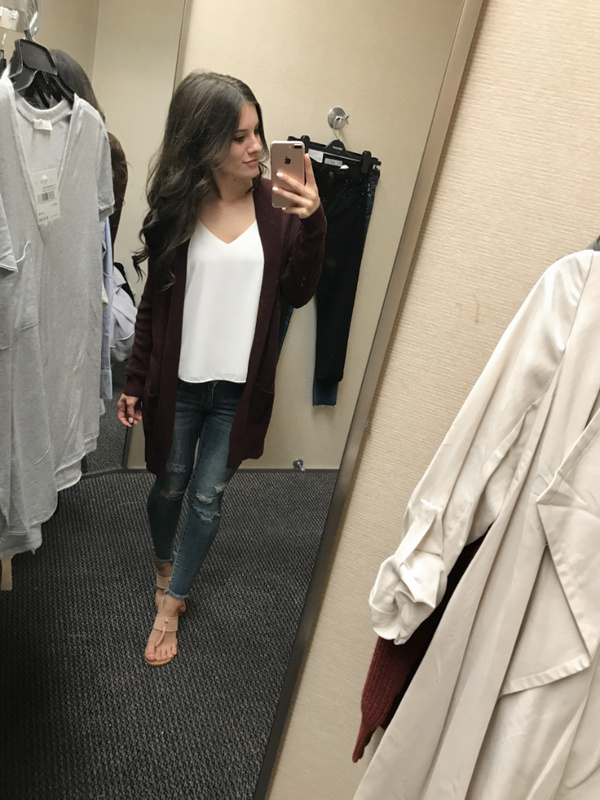 Love this cardigan! Im wearing an XXS and want to order more colors for sure! 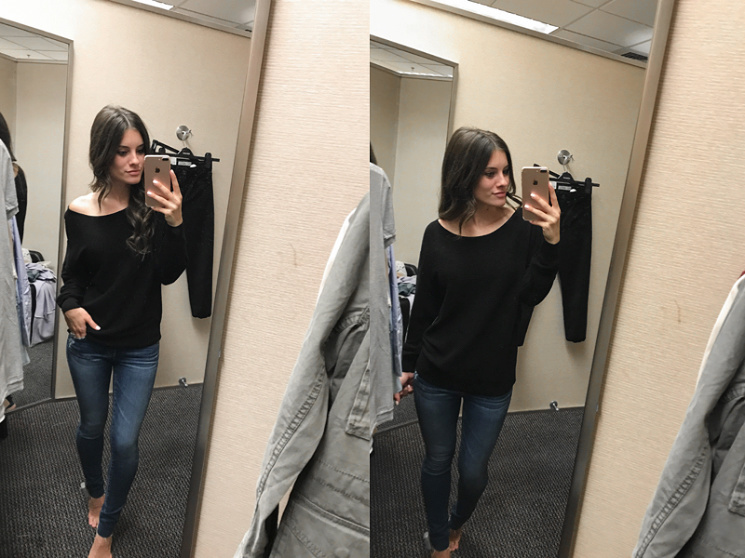 Definite fall/winter closet staple! This one is much softer though, just double the price, but another highly recommended favorite! 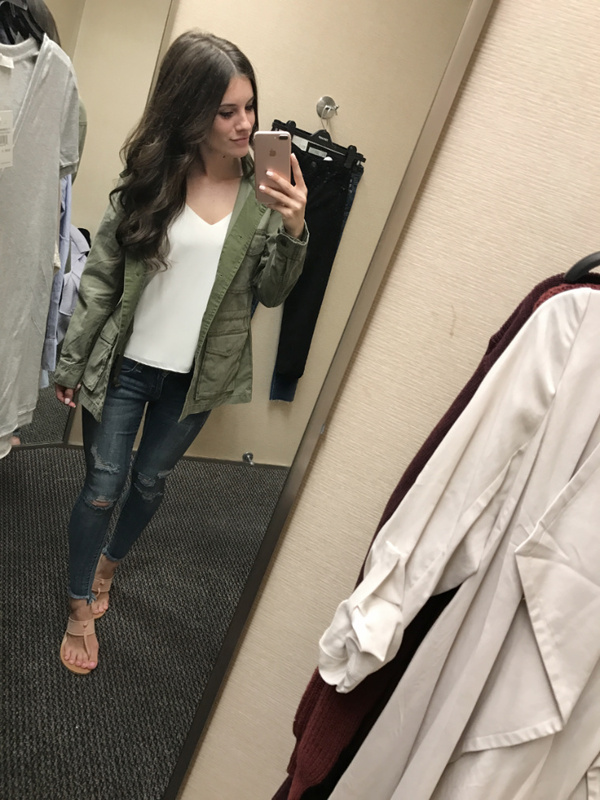 A cargo jacket for fall is a definite must have & always sells so fast during the NSale! I do wish they had more options this year, though! I'm wearing a S, but would go with an XS. If you're in need of one, this is a great staple piece but it is a little stiff in my opinion. Also, there are adjustable straps hidden on the inside so since in the waist if you want. Saying I love this is an understatement! It's beyond cozy! I'm wearing a M here because that's all that was in store, but I would get a S instead of XS for more loose/length. I'm wearing my usual XS. It is soft and thinner sweater material, this is thinner & not as soft as the grey version above. I picked this one up not realizing that there was a cold shoulder on one wide.... why?!?! It would've been so much cute otherwise in my opinion and it's super soft!! 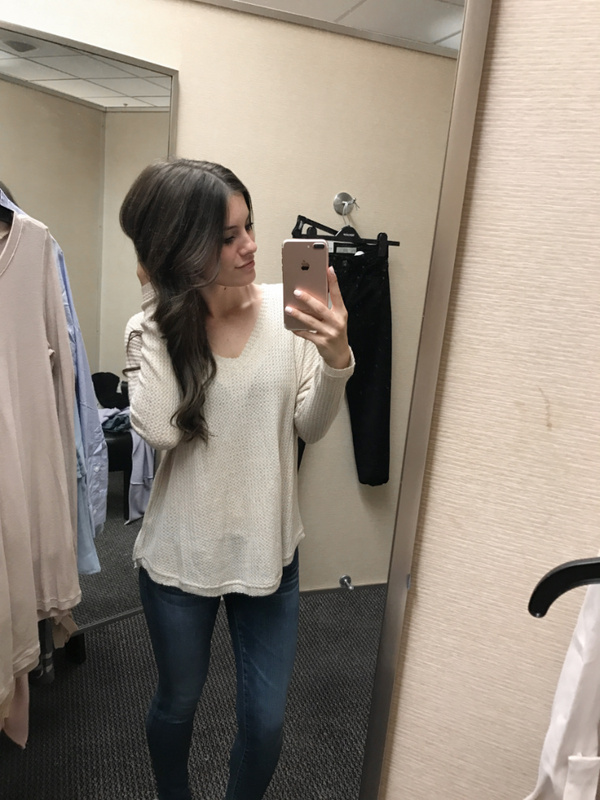 Wearing an XS here, so definitely runs larger and would get an XXS if you know, the shoulder was covered lol. I've seen a few style it and looks great on them, just not for me. If you have long arms, please get this! Its so cute and cozy, my arms are just way too short to make this work. Wearing a S and there are more pretty colors available. I'm in love with the arm tie sleeves on this one! 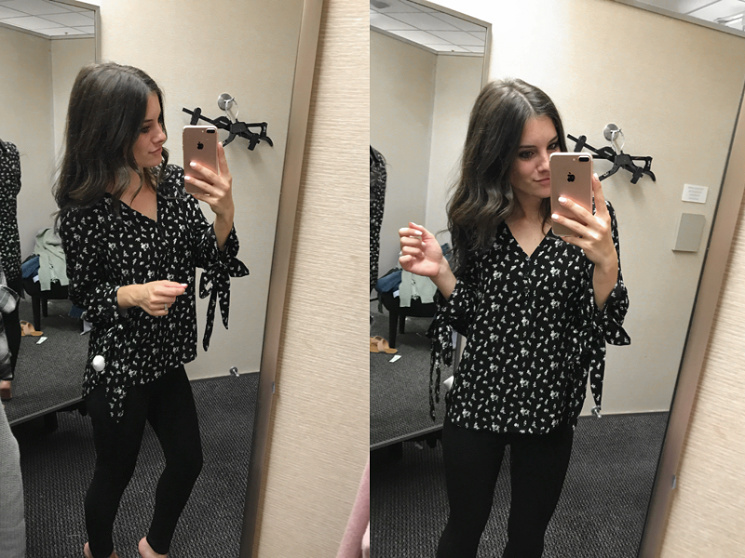 I'm wearing a size S here and love the fit! There are more colors/floral prints available. This would be so cute for work or play. Wanted to love this, but the ruffles are too large and in charge for me. It is very warm and soft, though. Wearing a US 4 here. Hope this was helpful for you all! I can't wait to show you what else I ordered! I'm so excited to style them! Let know if you have any questions in the comments section and if you bought any of these pieces! Have a great weekend! XO!